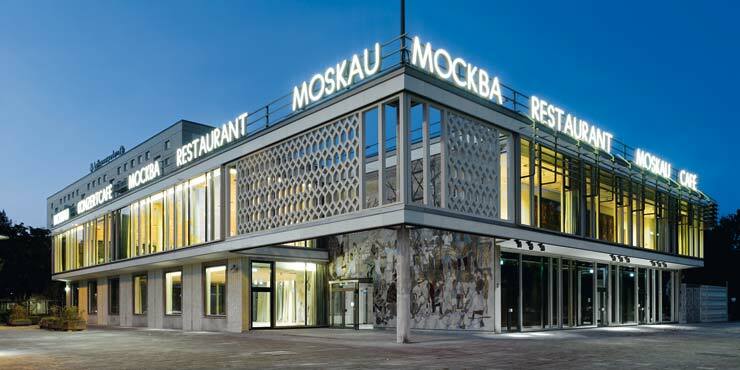 Café Moskau is the architectural highlight of the second stage of the former Stalinallee. 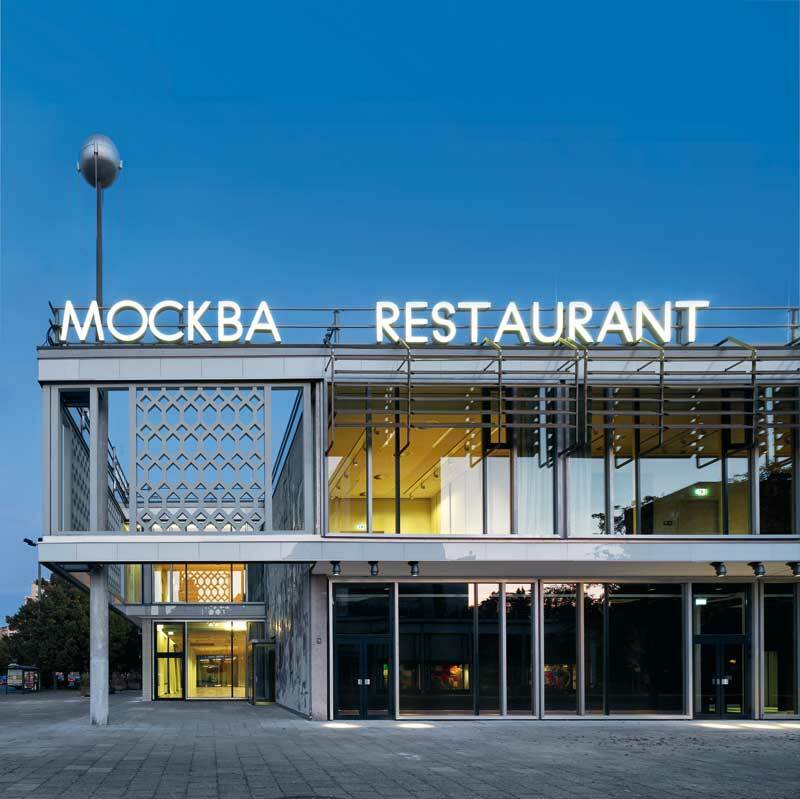 When renovating Café Moskau, the aim was to further develop the concept of transparency and reflection, and to bring it up to date. 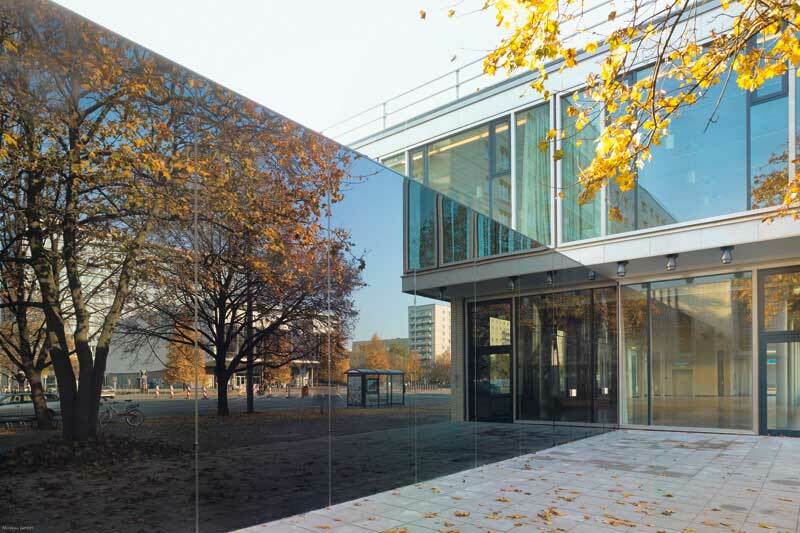 The lucidity of the façade, the various views through to the inside and outside, and the material aesthetics of the 1960s have been brought out once again. 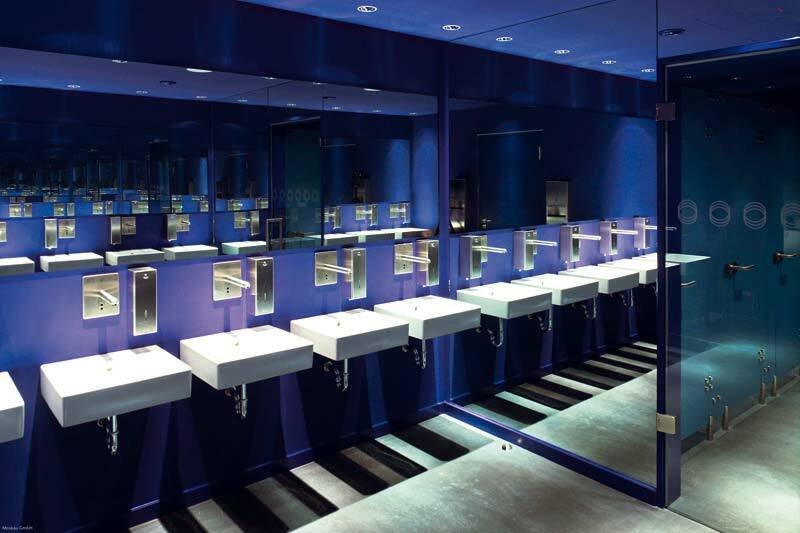 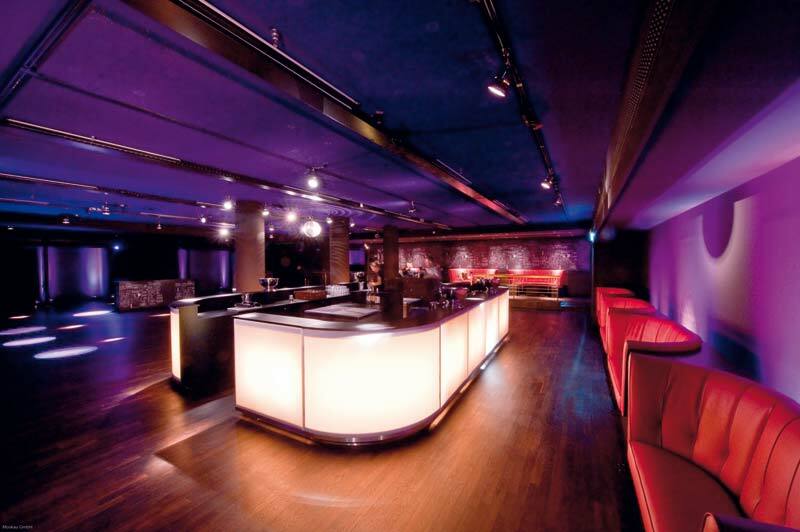 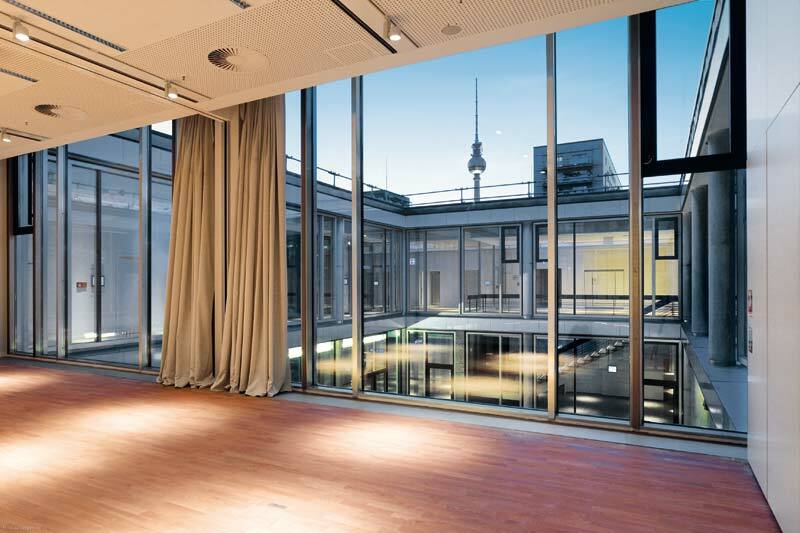 In Café Moskau, a solution which is both economical and sustainable has been implemented for the sanitary facilities. 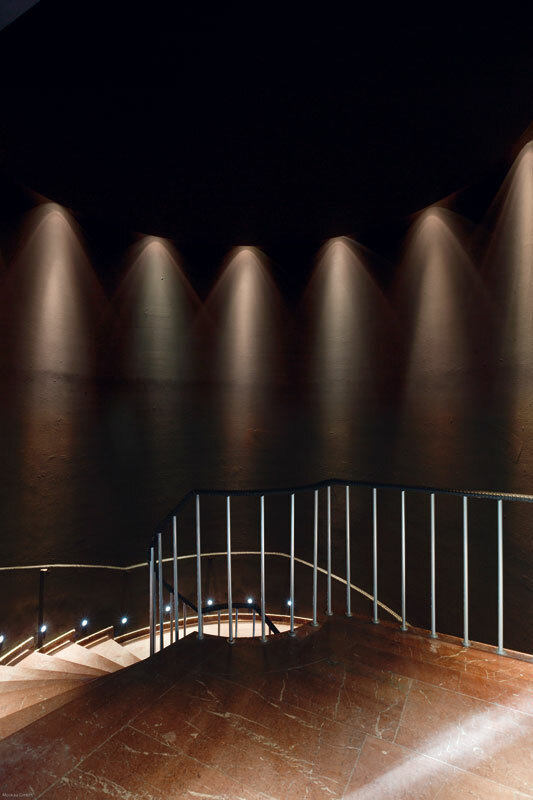 This is achieved through the needs-driven supply of water provided by the GROHE Europlus E basin faucets, which are controlled by infra-red electronics, and the dual-flush technology of the cisterns in the GROHE Rapid SL units in conjunction with GROHE Skate WC wall plates.